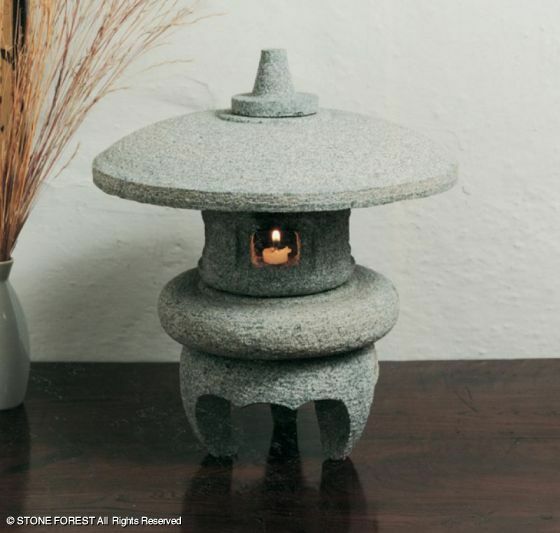 Japanese stone lanterns were for the first timeThey were used in ancient temples and shrines, where they kept fire, lit by vow. The purpose of such lanterns was not to illuminate space, but to protect fire from environmental influences, since the sacred fire symbolized the Buddha, knowledge and enlightenment. Only much later, in the sixteenth century, they began to be used for practical purposes, to illuminate the territory of private gardens, tea houses and premises for religious purposes. 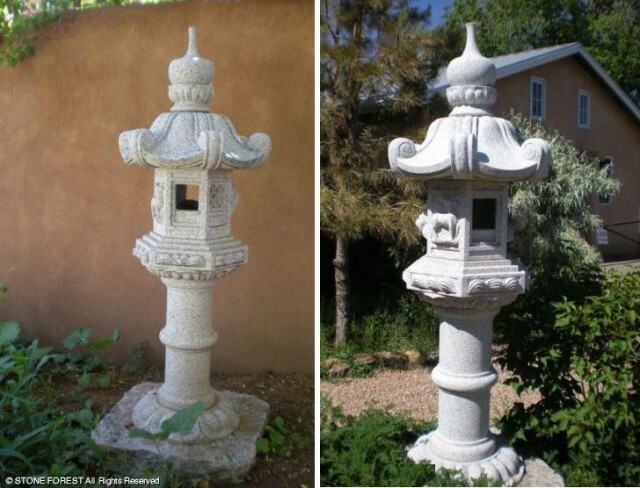 From classical to modern, Stone Forest lanterns borrowed this age-old tradition. 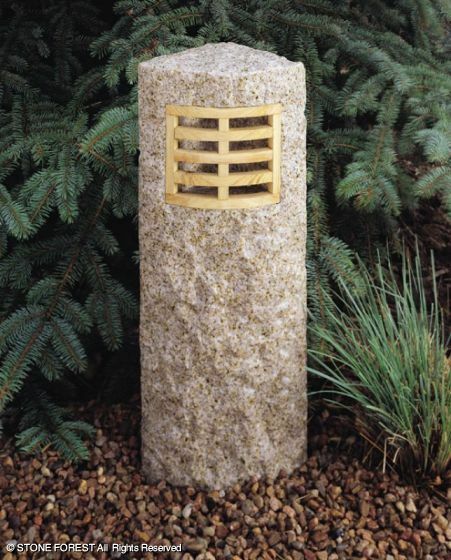 Designers carve out of granite traditional Japanese lanterns and original stone lamps of their own design for 20 years. 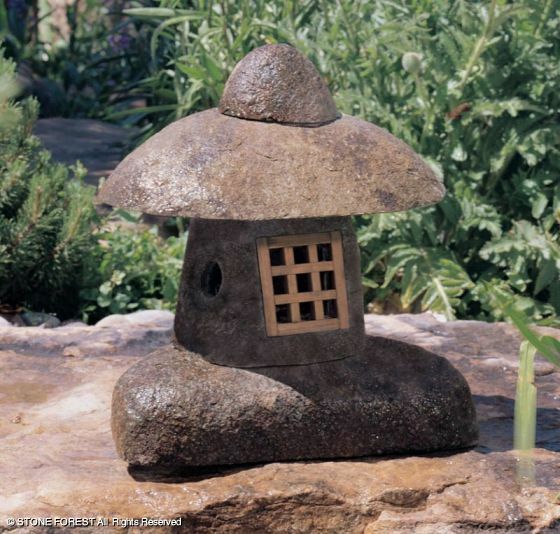 If you are looking for an interesting garden decor in the traditional Japanese style, or want to pick up a more modern yard decoration and addition to your landscape, then the premium quality Stone Forest lanterns are the perfect solution. 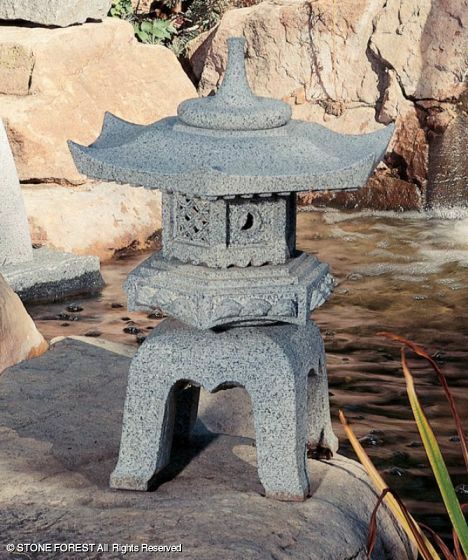 Traditional Japanese lanterns are produced in accordance with strict ancient specifications. 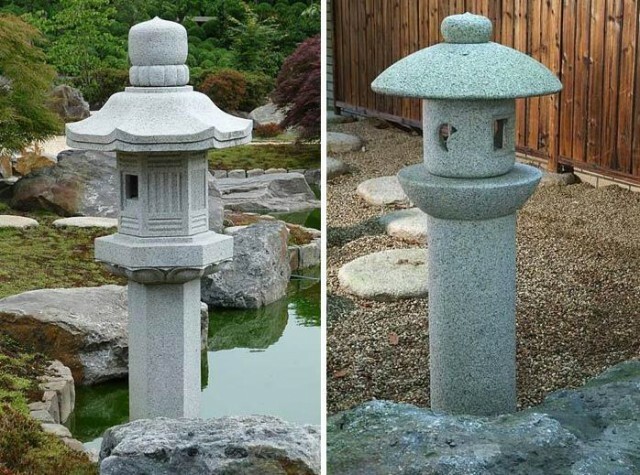 In the afternoon it is an elegant decoration for decorating a garden, and in the evening, with a candle inside, the lantern performs the function of lighting the garden with playing lights, indicating the way to a tea gazebo, pond or house. In the range - all the main types of lanterns. 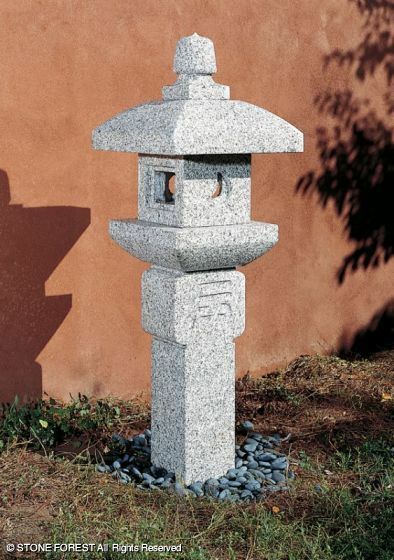 "Tachi-gata" (translated from Japanese as "pedestal") - the definition already includes the designation of such lanterns. They are used to illuminate a place in the garden, where the owner converses with the most distinguished guests. 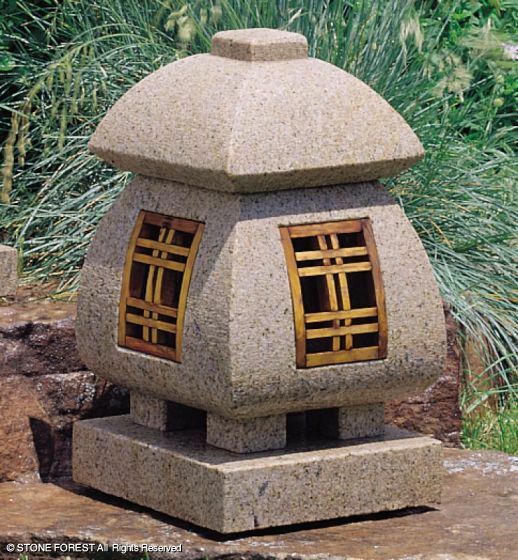 From other types of lanterns "tachi-gata" is distinguished by a high altitude - from 1.5 to 3 m, so they organically look in the gardens occupying a vast territory. Ikekomi-gata existsThe legend that this flashlight is placed so that the beam of sunlight incident on it is necessarily directed to the ground. 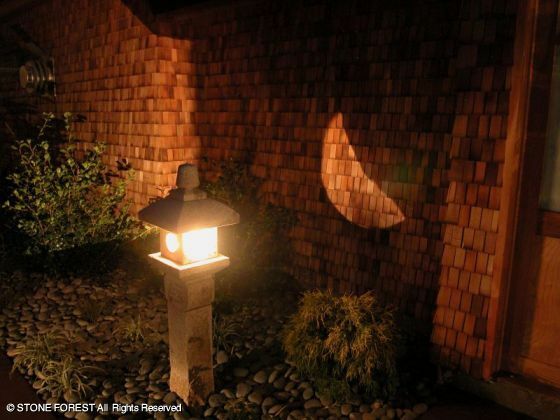 Therefore, usually for the installation of lanterns "ikekomi-gata" choose open to the sun areas of the courtyard and garden. "Yukimi-gata" (Yukimi-gata) - in translation"Seemingly covered with snow." 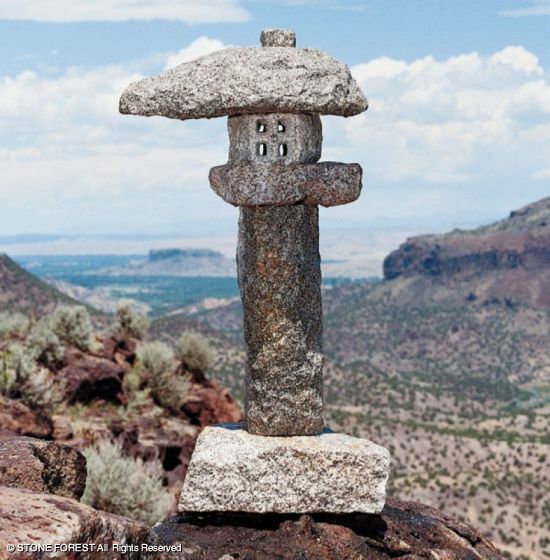 The highlight of these stone lanterns is a square or round roof, which protects the fire from the snow. Often the windows of the lantern are covered with frosted glass, which gives a soft glow to the rays of the sun, caught on a lantern and candles in the evening. "Oki-gata" (Oki-gata) differ in theirSmall size. 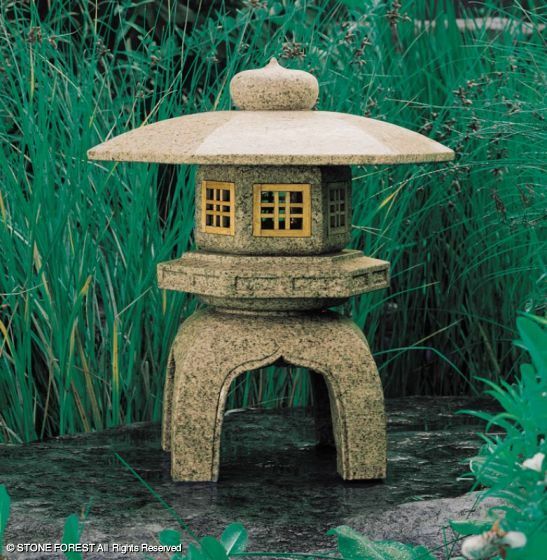 Such miniature stone lanterns will perfectly look in the garden or courtyard of a small house, near paths, flower beds and flower beds. The company can also cut out any pattern and create any Japanese flashlight at your request. 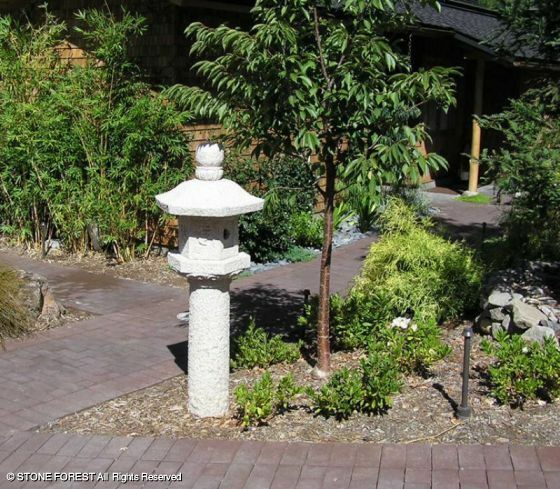 You can learn more about the products on the StoneForest website.